My prime resting in Sjoa, biking tripping around and hitting the highlights went very well, in had been an excellent June with Satu. We went to Hafjell several times, she is one of the better bike parks I have been too in Europe, the trails have been excellently hit to ensure you are not on those brakes, and are flying through the berms and over the jumps. We also hit Oppdal Bike Park, designed by a paddler Tore Meirik. Its new, and needs a lot of effort put into the drainage, but the SuperFlytløypa trail is excellent, with 3 creek bed gap jumps, nice. 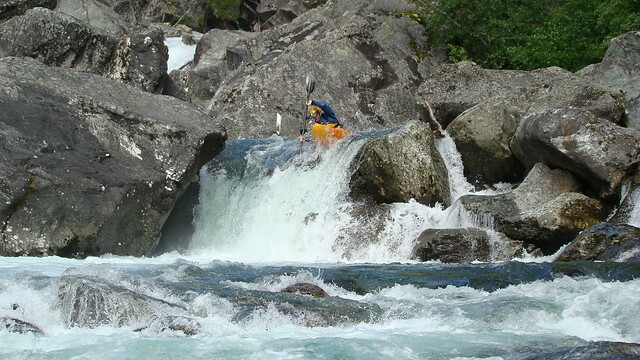 Next came the Sjoa River Festival, the 14th annual kayak event a mainstay in the nordic paddling calendar. I have been to all of them, it’s ace, 200+ paddler’s gather in Sjoa for a week, where river clinics, races, parties and general camp fire story telling are the norm. It’s by far one of the best events on the year. This year, Gene17 became the principal sponsor and event organiser for the Ula Extreme Race, one of the longest running extreme races around. With myself being on the scene for so long in Sjoa, it’s certainly time to add a more considered effort into the event, so Gene17 ran several free clinics and will continue along this vain in future. 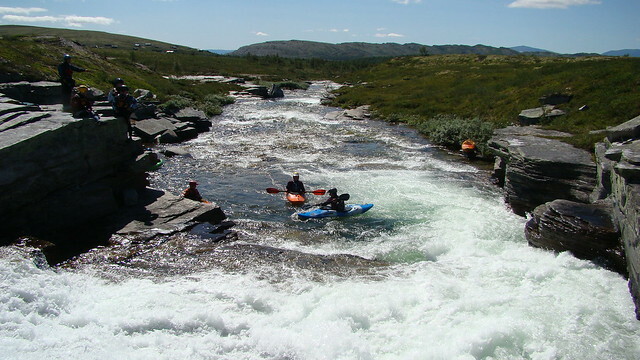 In between the racing and clinics, I managed to get away and paddle with several friends over the week, a run on high water Finna with Erik and the new Norsk young guns, plus I took the Voss boys down the Middle Skjerva, and a run on the Upper & Middle Skjerva with Matt, Sam and Dr Paul Ross. This combo is an excellent paddle, not unlike the Perth on the Westcoast of NZ. Near continuous read and run Class IV, with the occasional Class V beauty to keep you firing. 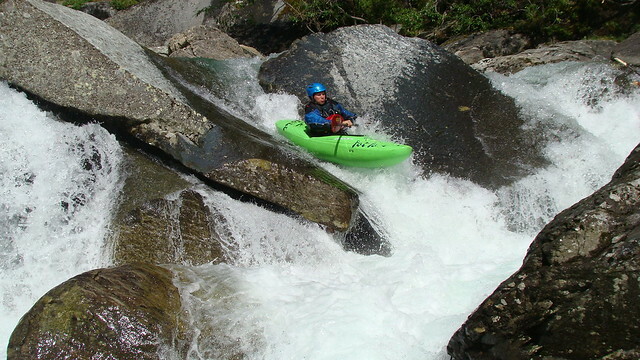 It’s certainly adventure paddling, there are portages, some committing gorges, a few larger drops, so knowing the run certainly helps. There is a small dam proposed on this section, which is a shame, as it’s only rain & snow fed, so a dam is of little use outside 4-6 months of the year. 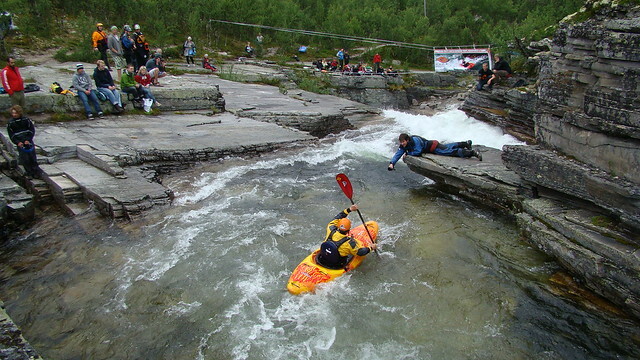 A dam on Skjerva, will have an affect on Finna too, another great Class IV/V adventure just downstream. I understand the need for power generation, but with so many glacial, snow and rain fed rivers near by, where the runoff season would be longer and power output more consistent, it’ll be a shame to lose the Skjerva & Finna. However, it still did not help me getting pass the Semi Finals, below I am out in front of the pack. But after running the Axiom down the Ămot for the month before on a regular basis, the Saffron Missile in steep big water is out of its depth, the swallow bow, and lock in rails, often on a boil or surge, you’d lose the bow under the seam, or the boat would rail out with the surge. Racing the Axiom was always going to be a risk, and in the semis with a 5m’s leave and only the final move in sight, a collapsing diagonal wave spoke when I should of been listening or 2m more to the right, and from hero to zero I went. The Dagger Axiom is a great Class III cruiser, the prefect beast for the Grand Canyon, but she is no steep or powerful water dream, more a random pleasure or horror, depending on your aspirations. Well the Festival ended with a great Saturday night party, and that was that for another year. For the Ula Race in 2011, we’ll use the time trial selections, so we’ll only get 50 racers on the slides, plus there is talk of a professional timing system, we’ll see, it might be ace to have split times and live data… Well the work started straight away, and I had a great week with Matt…..
….until when I was putting away the shuttle bike, I took a small short cut, a fell off. I have fallen off a lot of bikes, but this time, the lack of any previous injury was certainly made up for, a Class V fracture of the Tibial head in my left leg. It’s been 2 weeks in Lillehammer hospital to date, I may be out tomorrow, but its 10-12 weeks NO walking, and after that light loading of the leg. This is going to be an office Autumn, I already foresee it…. 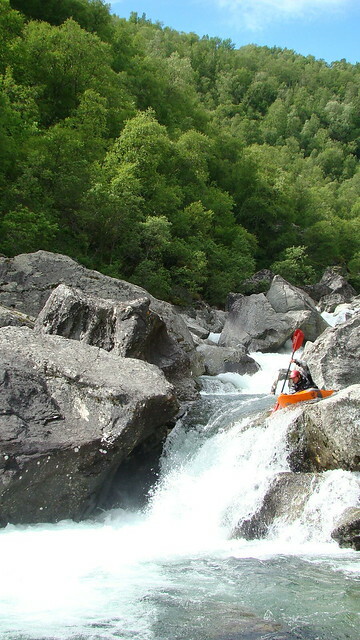 Thankfully, Ed Cornfield, Dave Carroll and Mikey Abbott will be covering the rest of the work in Norway, along with Matt Tidy, Nick Horwood & Jakub Šedivý, not bad when you can call on some of the best in the World at paddling, coaching and guiding to step into your shoes, Gene17 is in good hands.